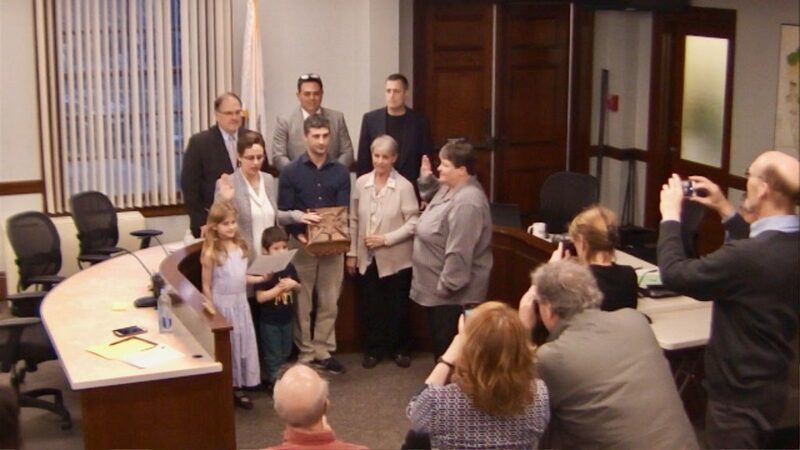 Reading, MA — Newly elected Selectmen Vanessa Alvarado was formally sworn in at the beginning of the board’s April 12 meeting. Alvarado thanked the voters and stated that she looked forward serving them in the position. Acting-chair Barry Berman welcomed Alvarado to the board declaring, “Now it is time to get to work.” Berman also thanked John Arena for his six years of service on the board and for his prior service on the Finance Committee. The board did a brief reorganization, with Berman becoming Acting-Chair and Dan Ensminger in the dual role as Acting-Vice Chair and as board Secretary. The board also reassigned a few of its liaison assignments. 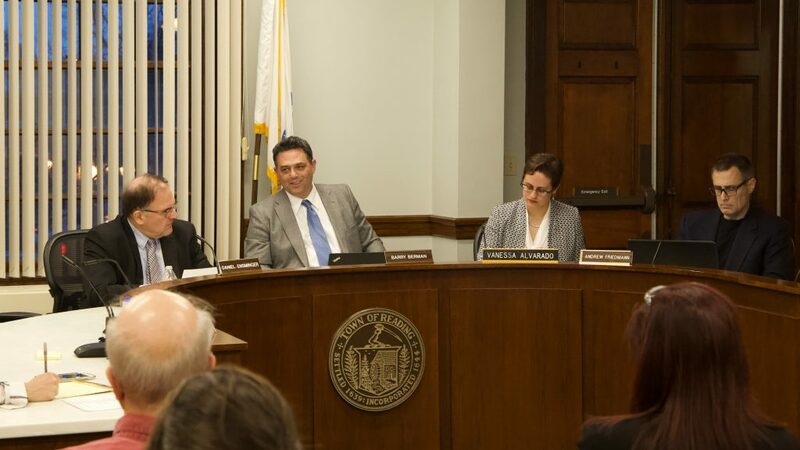 The Selectmen will do a full reorganization at its June 19 meeting. 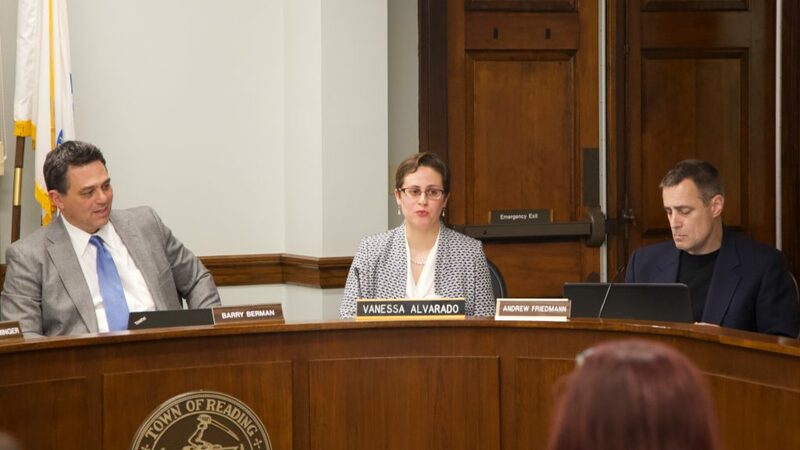 While Berman had already conceived of the idea prior to the meeting, it came on the heels of a resident concern regarding the 40B development on Prescott Street. The resident concern was regarding hazardous substances on the site and who was “watching” the project for the town to make sure the developer complied with all their agreements. David Zeek from the Climate Advisory Committee reported that the group will be hosting its annual Earth Day celebration at Parker Middle School on April 21 from 10:00 am-2:00 pm. The committee is also hard at work on the implementation of the plastic bag ban which was approved by Town Meeting in November. Tim Kelly of the Reading Housing Authority shared that one of the deeds restricted properties on Gazebo Circle will soon become available for sale. 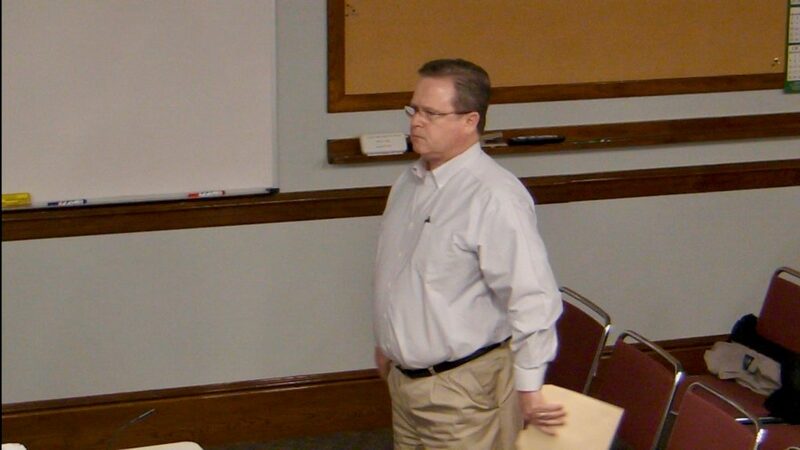 Kelly reported that if a qualified buyer is not available, the town may need to purchase the property. The property could also be sold at market value, with the difference between the affordable price and the sale price is paid into the Housing Authority Trust Fund. The result would be that the property would no longer be deed restricted as affordable. Town Manager Robert LeLacheur shared that there will be a school security summit for all interested citizens on May 23 at 6:00 pm in the high school library. The summit will seek to provide as much information about the issue that can be shared. LeLacheur also reported on progress toward his annual goals. All goals are either completed or on track for completion by the end of the year. 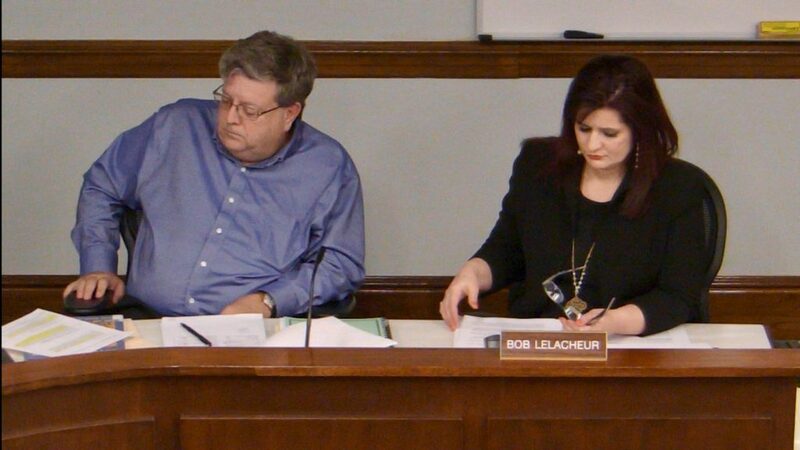 Town Accountant Sharon Angstrom gave her quarterly financial update to the board, reporting that general fund revenue is at 82 percent of the budget while expenses are at 74 percent. Approximately $300,000 will be needed from free cash to cover additional snow removal expenses incurred this March. Angstrom also let the committee know that she received the Fiscal Year 2017 audit and that it has been posted on the town website. 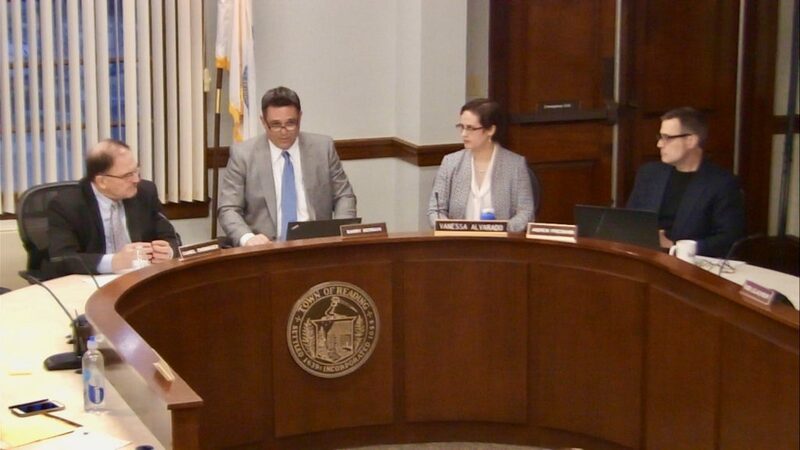 The board voted 4-0 to make an Arbor Day proclamation, it discussed how to effectively onboard new members, and chose not to vote an official position on any of the warrant articles for April Town Meeting. The Board of Selectmen adjourned at 9:20 pm.